As I look at this sketch I did several days ago, I see the asymmetry of the figure. Was the young man’s trunk turned? I don’t think it was or I would have clarified it by shading or otherwise showing a twist in posture. 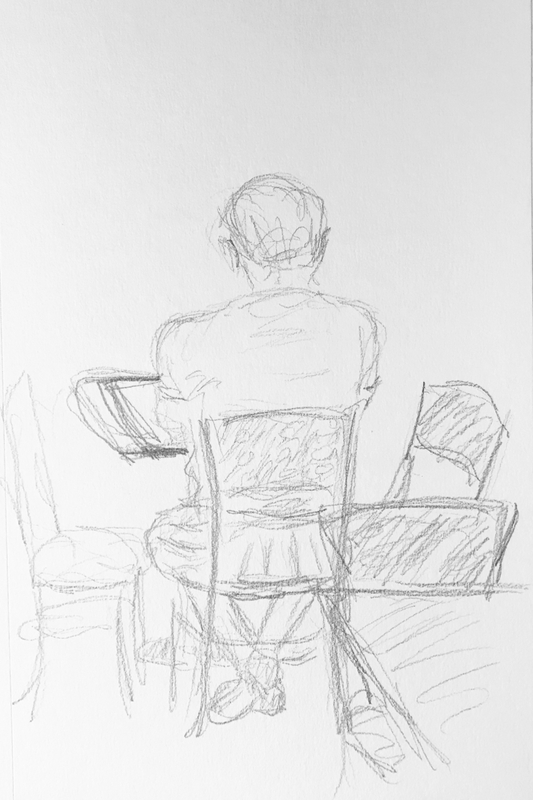 The asymmetry about which I was concerned at the time of sketching was the table in front of the figure. The table only revealed itself to the subject’s left. With more attention to the visual elements, and not the forms in front of me, I could have made a graphically balanced sketch. This entry was posted in Personal Stories and tagged art, artistic process, asymmetry, creative process, graphic design, imbalance, pencil sketch, sketch, visual art, visual elements. Bookmark the permalink.